Since 1955, Reliable Fire & Security has been providing fire protection equipment and services to Chicagoland. 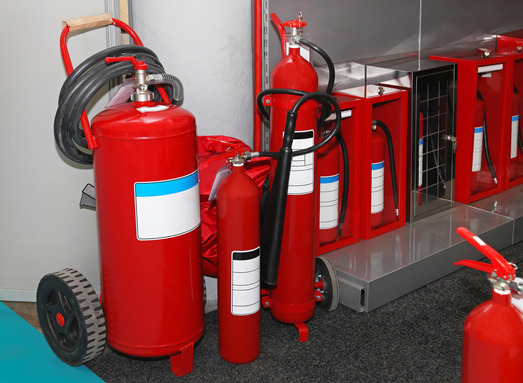 Beginning with the distribution and service of portable fire extinguishers, over the years, fire protection has also come to include fire alarms, voice communications and suppression systems that were introduced to help improve life safety. Since fires can occur anywhere and anytime, it is highly critical that people understand what type of hazard they are dealing with. They have to understand the elements that are burning and what chemical reactions are likely to occur. Below is a list and description of the various classes of fires. It is important to understand the various classes of fires in order to choose the appropriate fire extinguisher. The professionals at Reliable Fire & Security will perform an assessment of your facility to help determine the fire protection equipment and systems that will help protect what matters most. From design and installation to inspection and maintenance repairs, Reliable provides complete service. NICET certified technicians are on staff to ensure that your equipment is installed and maintained to ensure maximum performance. Fire protection is the responsibility of the property owner and Reliable Fire & Security is your one source for all of your fire protection needs.